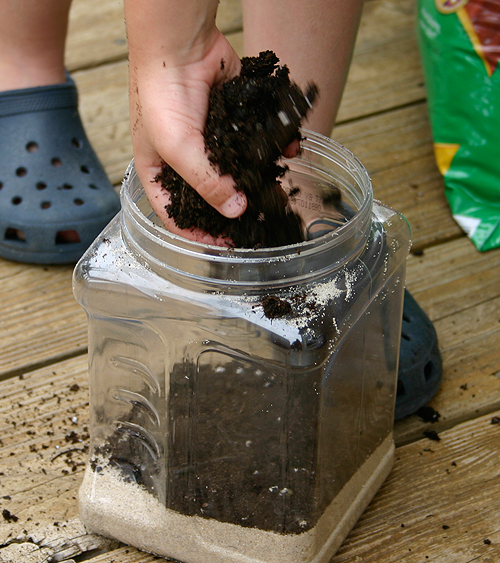 This is a fun activity that let’s the kids get their hands dirty, and it only requires a few basic supplies. 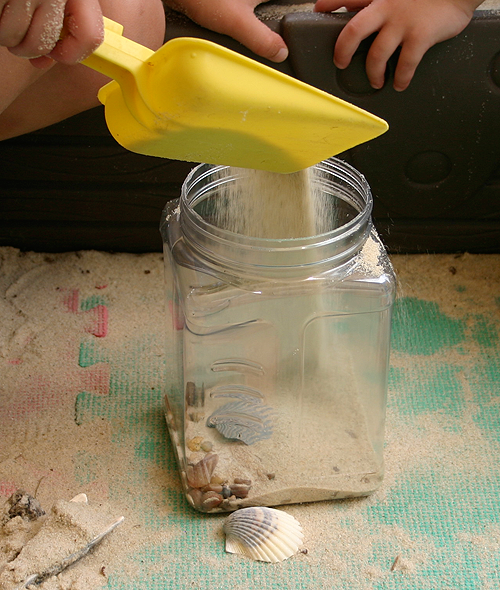 Fill the bottom of the container with sand. this should be about an inch deep. 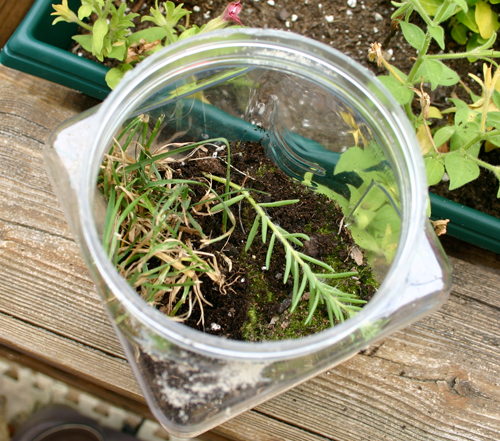 Pour in some soil to the half way mark of your container. Plant your plants and decorate with rocks and pebbles. 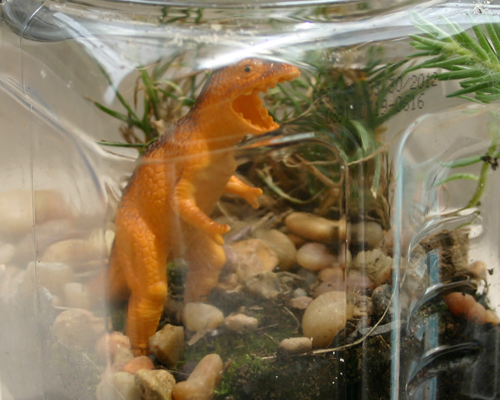 Place the dinosaur in its new home. 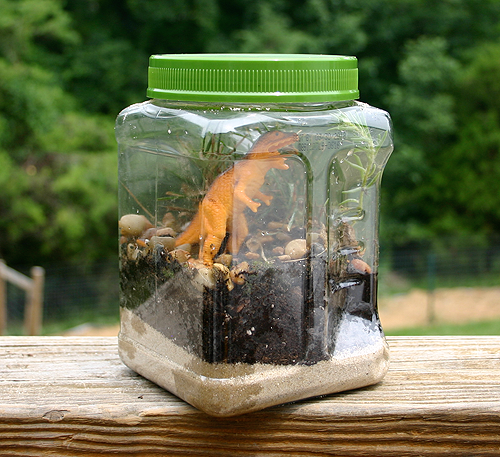 Pour in a little bit of water to get the soil and sand wet. Screw on the lid and keep the container indoors.